The BSE Sensex plunged 689.60 points, or 1.89 per cent, to 35,742.07, while the NSE Nifty slipped 197.70 points, or 1.81 per cent, to 10,754. 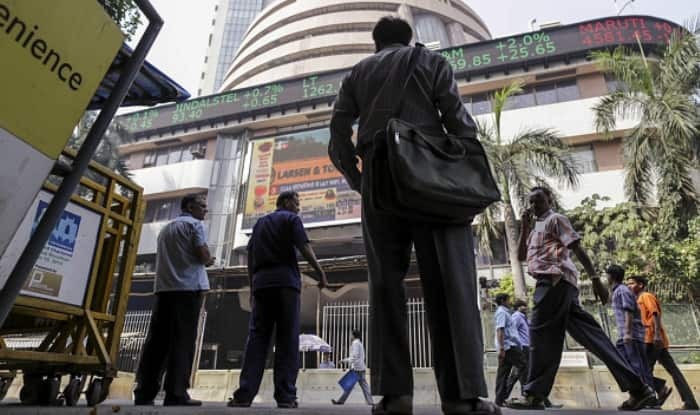 Mumbai: Benchmark equity indices witnessed heavy selloff Friday after investors booked profits in realty, banking, IT and auto bluechips amid weak signals from global markets. The equity market witnessed selling ahead of the weekend, mainly due to fears of lower global economic growth in the coming year, said Joseph Thomas, Head Research- Emkay Wealth Management. Concerns over the rupee also loomed over IT and tech stocks, analysts said. The biggest losers of the session include Reliance, Infosys, TCS, ICICI Bank, HDFC twins, ITC, Maruti, L&T, HUL, Axis Bank, Wipro and IndusInd Bank, cracking up to 4 per cent. On the other hand, NTPC, PowerGrid and Coal India were the only gainers on Sensex, rising up to 1 per cent. BSE Midcap and Smallcap indices too witnessed heavy selling, falling 1.79 per cent and 1 per cent, respectively. Investors also took cues from world markets, which tumbled on fears of a potential US government shutdown and rising tension between the US and China. The rupee, meanwhile, fell 52 paise to 70.22 against the US dollar. Brent crude, the international benchmark, was trading 0.96 per cent lower at 53.83 per barrel in futures trade. Elsewhere in Asia, Korea’s Kospi ended 0.06 per cent higher, Hong Kong’s Hang Seng rose 0.51 per cent; while, Japan’s Nikkei plunged 1.11 per cent and Shanghai Composite Index slipped 0.79 per cent. In Europe, Frankfurt’s DAX fell 0.62 per cent and Paris’ CAC 40 shed 0.97 per cent in their early deals. London’s FTSE too slipped 0.31 per cent.